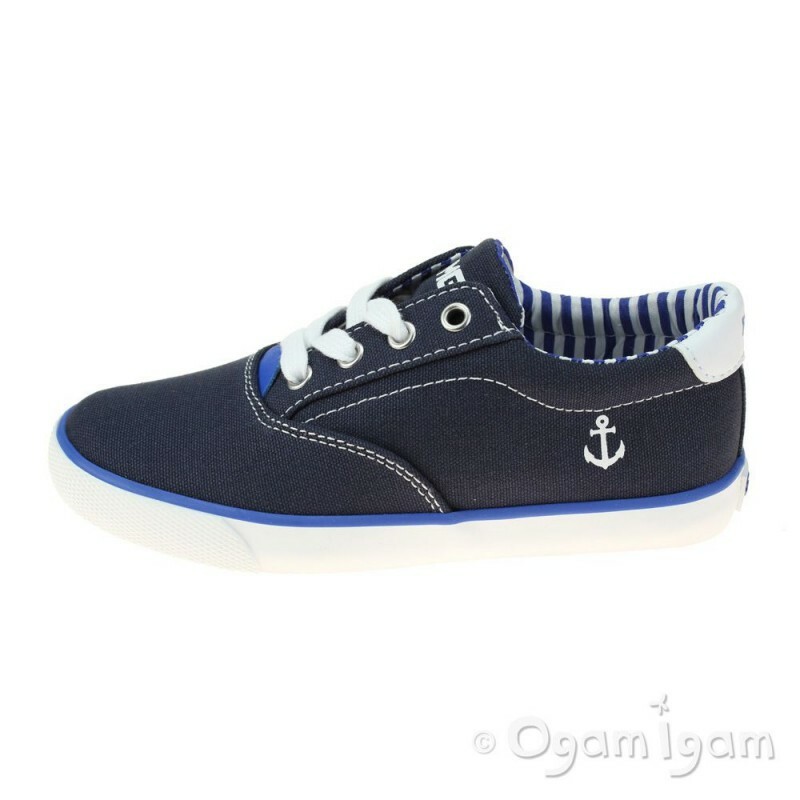 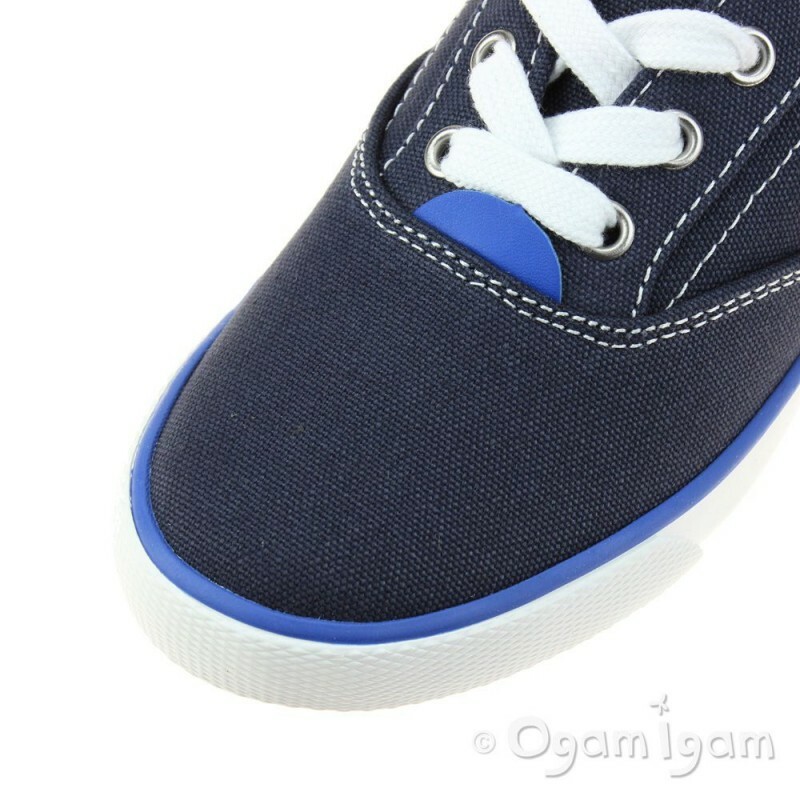 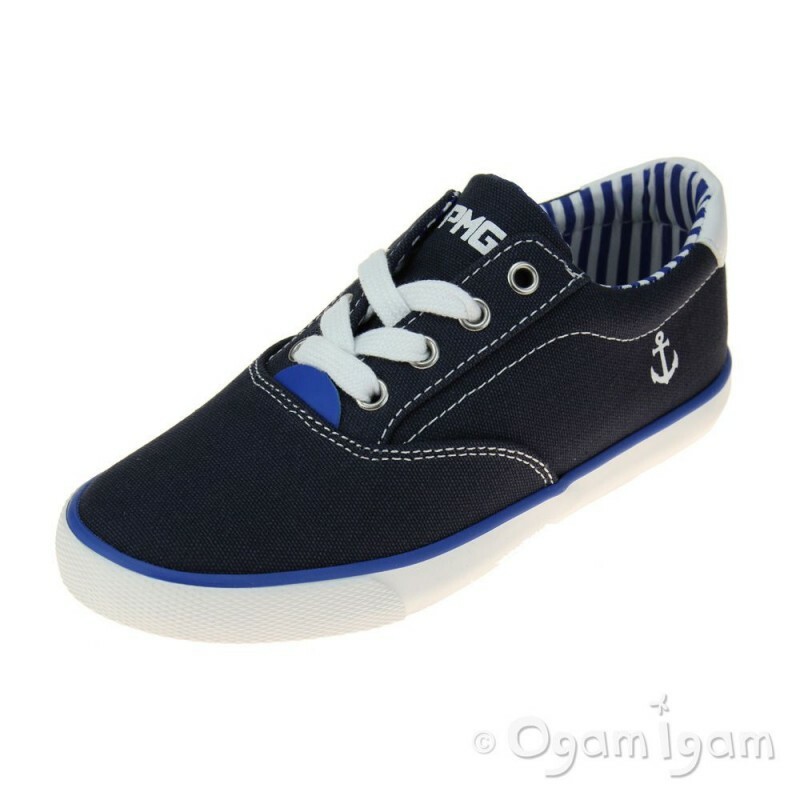 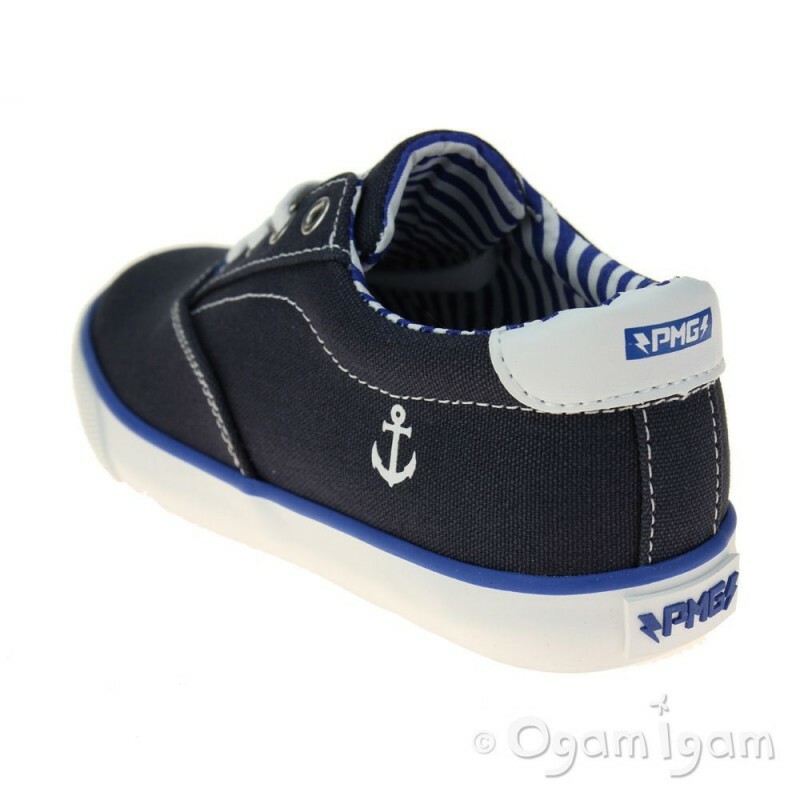 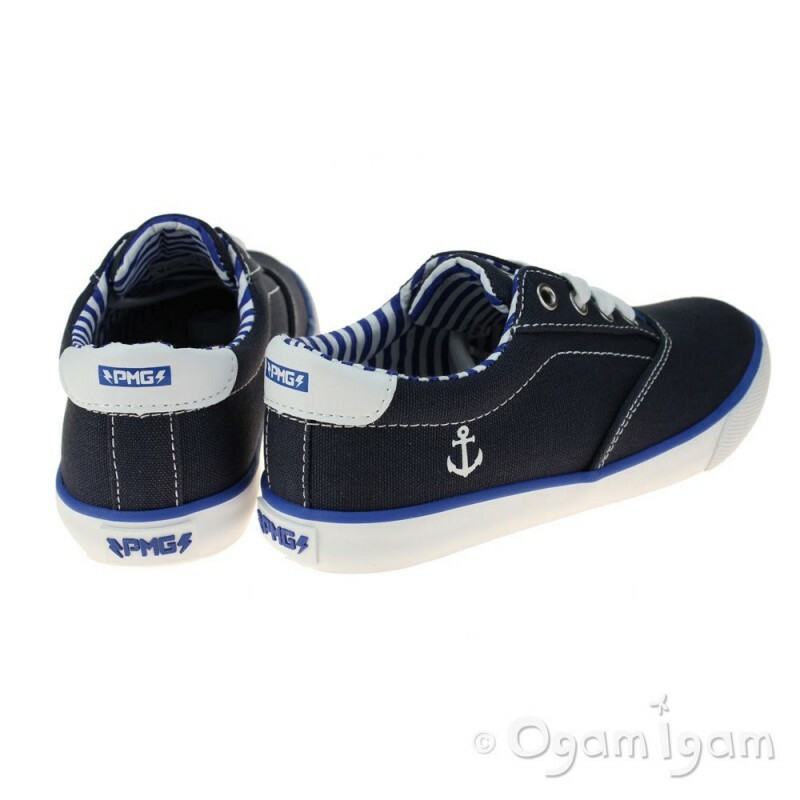 This boy's navy canvas shoe from Primigi features a four hole lacing system with white laces, a printed anchor motif to the side, white stitch detail and padded ankle collar with white heel overlay. 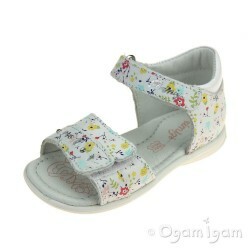 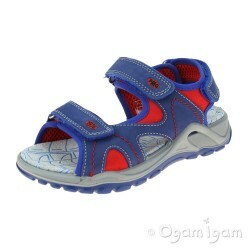 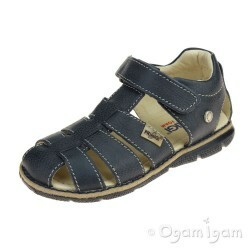 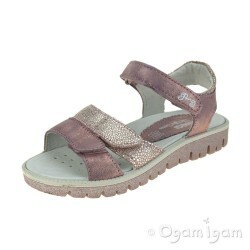 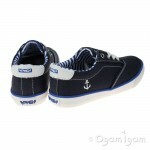 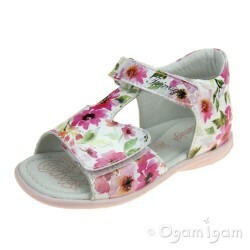 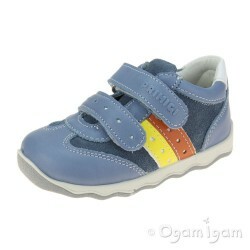 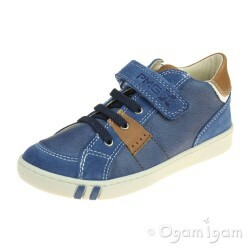 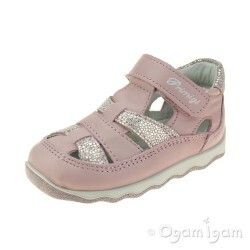 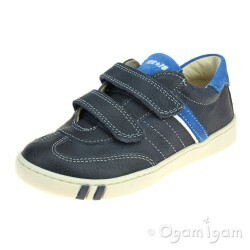 The inner is textile lined with a white and blue striped fabric and has a removable padded leather footbed. The outsole has a sneaker style white bumper surround and a flexible blue undersole with good grip.